What a joy it was to make this stole for our young, exceptional pastor! He has the wisdom, powerful teaching and Biblical understanding of a much older, more experienced pastor. Our church is growing in leaps and bounds with his leadership. Sunday in the pulpit he wears a suit and tie. A traditional black robe hangs in his closet, but he said he doesn’t wear it because without a stole he looks like a judge. Hmmmm…I thought, I could make one! How hard could it be? How long could it take? Well, let me tell you this one was not hard but it did take a very long time. Operator error again. I made so many mistakes! Whenever I take on a project unlike any I have made, I like to research the subject to get a comprehensive view of just what is involved. Google took me to a lot of blogs and sites for free patterns. Pinterest took me on that same route. 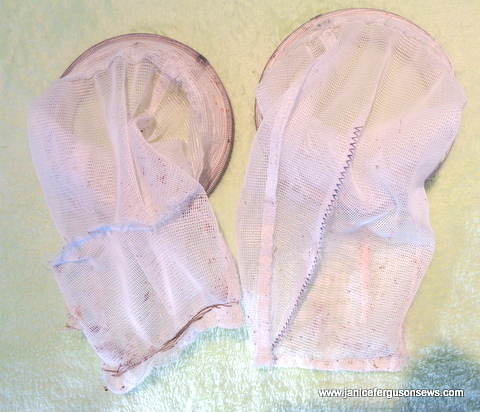 Both have numerous free patterns, mostly labeled quick and easy. I didn’t want quick an easy. I wanted good. So I looked further. 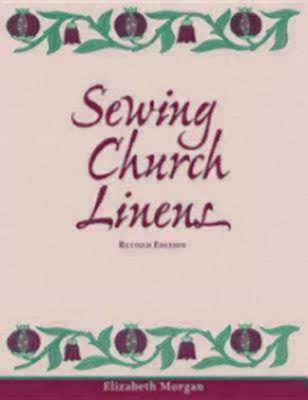 Again and again, the name Elizabeth Morgan came up, listing her patterns and book, Sewing Church Linens. Aha! I had purchased that book in anticipation of working with my dear Aunt Rheeta to make a communion cloth for her church. But the book did not address stole making. At her web site, www.churchlinens.com, there were so many inspiration photos. I read about her stole teaching kit and called to order it. What a charming lady she is! She feels strongly that, for so many reasons, church vestments should be sewn by the congregation. It is a blessing for both the sewists and the church to use their talents for the glory of God. During our lovely and lengthy chat, I learned that Elizabeth is 82 years old and has been making clergy stoles and church vestments for 30 years. She is the stole guru I had been seeking! She is without question the guru with decades of experience and one who teaches seminars around the country on the subject of church sewing. Elizabeth Morgan is one who is willing to hold my hand and mentor me as I began this new sewing adventure. 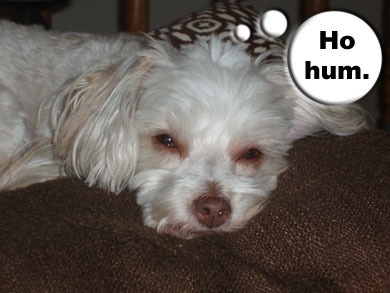 In our chat, Elizabeth dircted me to Deb Schneider at Windstar Embroidery Designs. 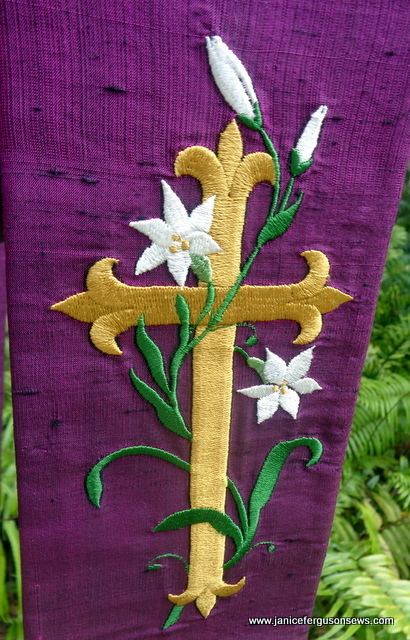 Deb has digitized classic and vintage liturgical embroidery designs from an 1850 book of hand embroidery liturgical designs. Windstar also offers a huge variety of other designs, but my focus was on the religious category. Wow! 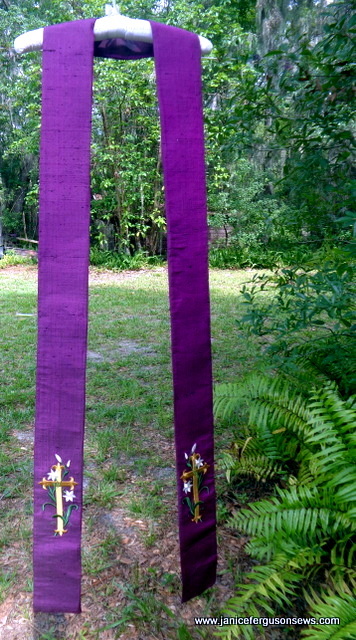 This site was had me planning a baptism stole, a communion stole, stoles for weddings, advent, Easter, Pentecost and more! (Can you see how I get a little carried away?) I ordered this design (along with several 2 yard cuts of dupioni in white, green, red and gold). 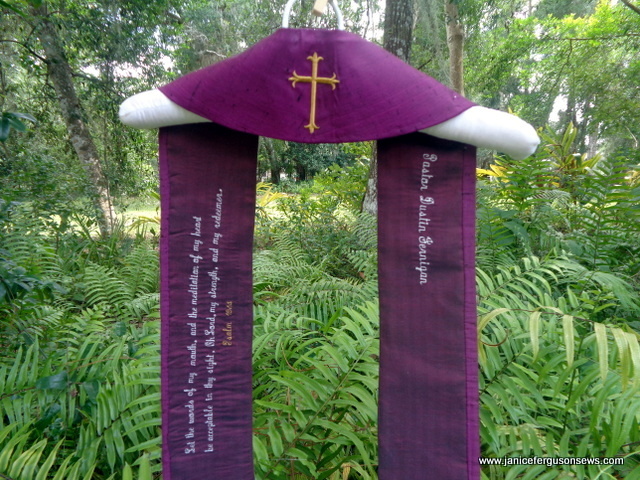 And now I’m thinking about making pulpit drapes and more from the scraps.